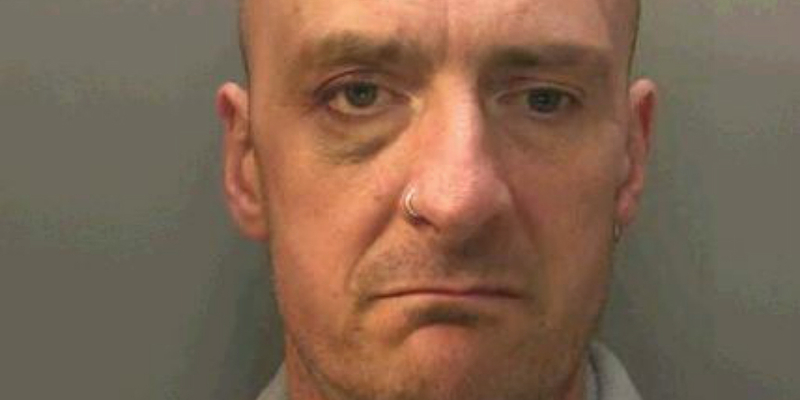 A man from South Wales, who murdered his own mum in a chainsaw attack, has been jailed for life. 47 year old Robert Owens pleaded guilty to killing his mum Iris Owens in the garden of their home in Ystrad Mynach. Prosecuting Christopher Clee QC, said neighbours saw her hanging out her washing in May this year, when one heard a chainsaw. "The precise sequence is unclear but at 5.21pm the defendant rang for an ambulance," Mr Clee told Cardiff Crown Court. In the 999 call, Owens said, "My mother just went mad. I was chainsawing some wood. She's gone mad, she's not breathing." Paramedics found him "agitated" with blood on his hands when they arrived and found Iris on her back near a tree stump in the garden. She was pronounced dead at 5.42pm and Owens told a paramedic his mother had "gone berserk", adding "I'm going to jail". Mrs Justice Nicola Davies described the murder as a "tragic and unusual case"
Speaking after the sentence, Detective Superintendent Ruth Price said, "Iris Owens was an inspirational person who led such an interesting life and did so much for others. "She was very well respected and loved by her many friends and family." "Robert Owens's guilty plea and sentence concludes the formal legal process, but for Iris's family it will not ease their sense of loss and our thoughts are with them." Her daughter paid tribute saying her caring nature made her a fantastic Mum and Grandma. "Iris crammed so much into her life and into every waking moment but there was always something new that she wanted to do. "Sadly, we won’t find out what new direction she may have chosen and what lovely new friends she would have made along the way. "Her family and friends can just give thanks for the life that she led and for the positive impact she had on so many of the people that she met - and who loved her for the amazing person that she was."